Hej hej (that’s hello) from Sörmland! 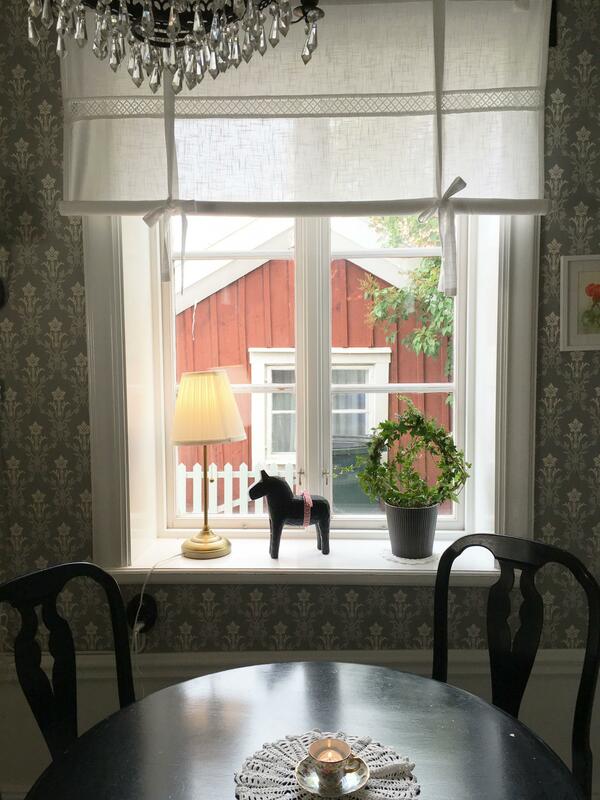 I spent the loveliest long weekend in this gorgeous corner of Sweden. Just a quick hop from Stockholm, it’s the perfect place for an adventurous escape. 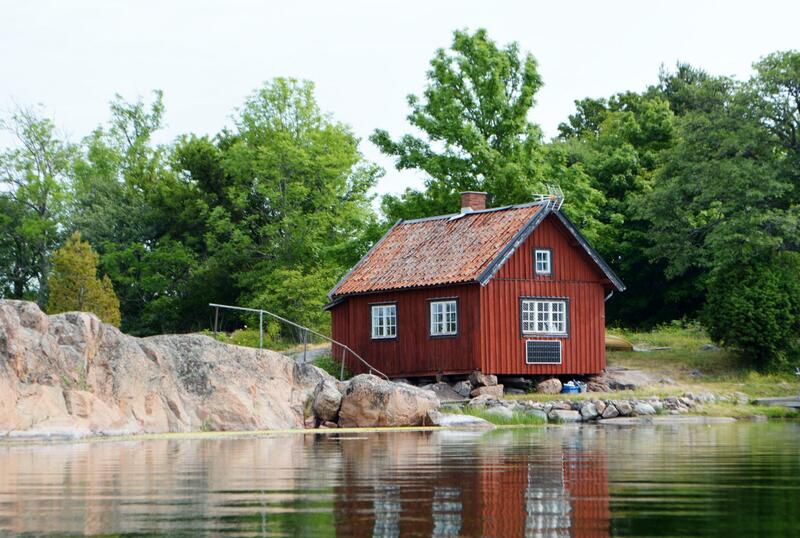 Use my Sormland Sweden travel guide and plan your own dream #Stockholmcountrybreak with my favourite places to stay and explore. 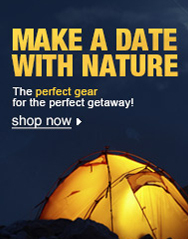 Got a few days free and dreaming of a little outdoors adventure? 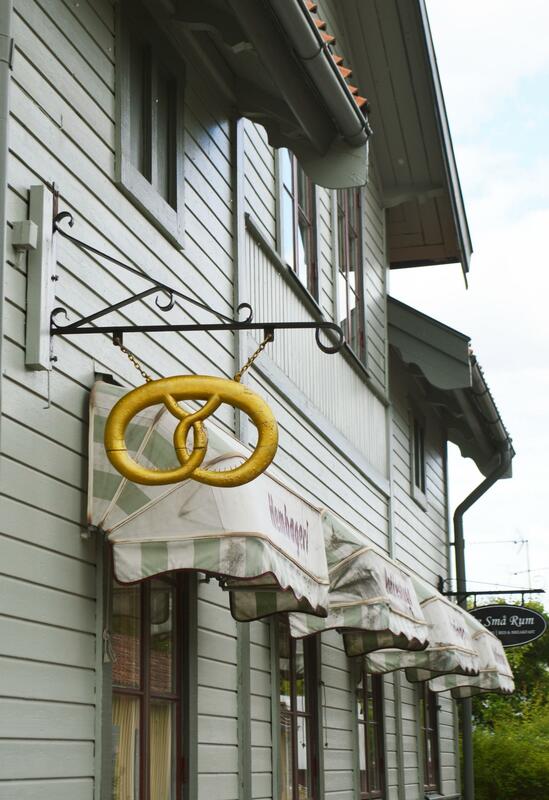 Might I suggest heading to Sweden’s province of Sörmland? A short journey from buzzy Stockholm, this lovely, laid-back province is home to tiny islands, wild woods, placid lakes and postcard-pretty towns, perfect after a few days exploring Sweden’s capital (the province is easy to reach by train, bus or in just 45 minutes car from Stockholm city or Skavska airport). 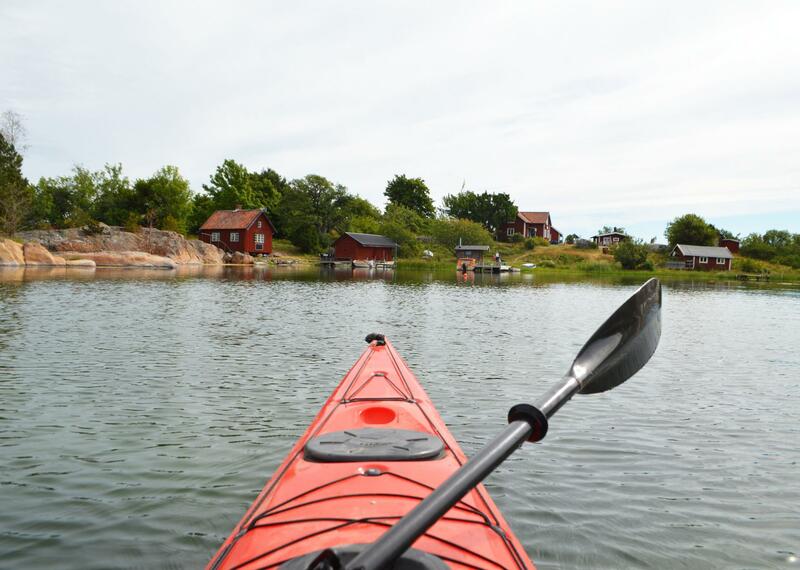 Head south from Stockholm and you’ll find Sörmland on the edge of the Baltic sea. It’s long been a favourite escape with Swedes – there are over 400 castles and manor houses dotted through the region that were once the country escapes of the gentry. Today the landscape is like something out of a children’s book’s version of Sweden – rolling farms, wooden barns painted the distinctive dark red shade of Swedish wood cabins, shady woodlands home to elusive moose, an archipelago of small islands perfect for discovering by kayak and miles and miles of wild trails to hike. 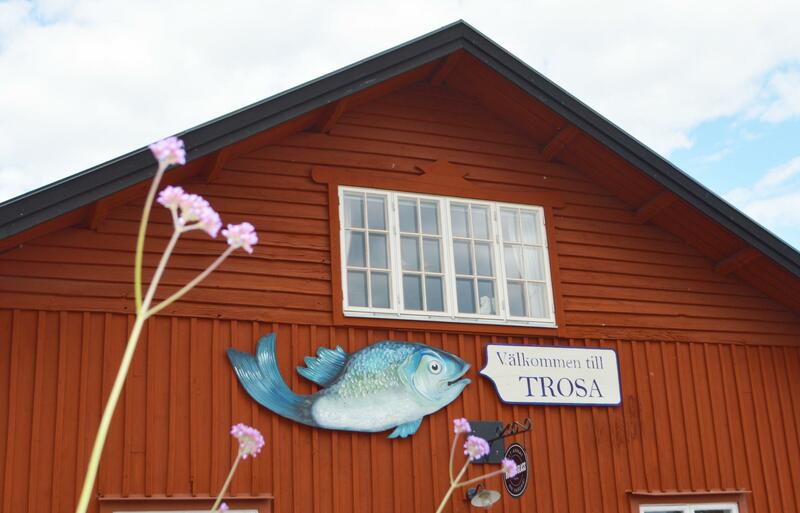 The lovely town of Trosa makes the perfect base in Sörmland. I stayed at Tre Små Rum (the name means three small rooms, the size of this small but adorable B&B in the old town). 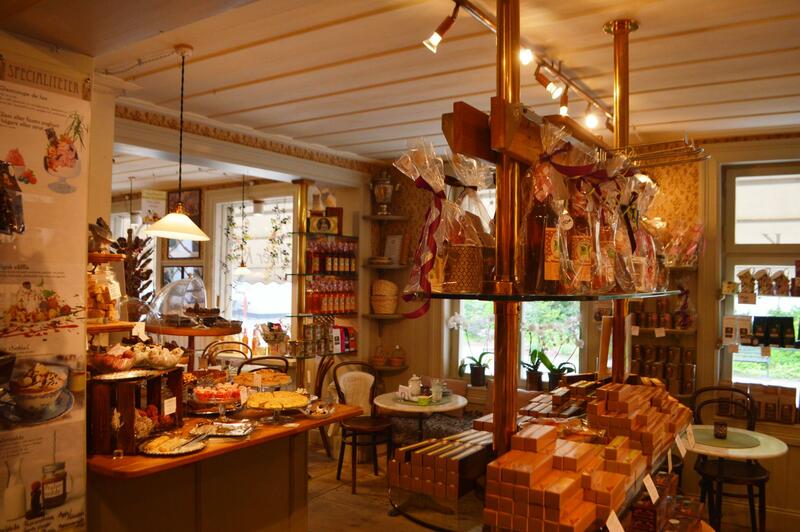 Upstairs are little rooms, downstairs is a charming cafe. 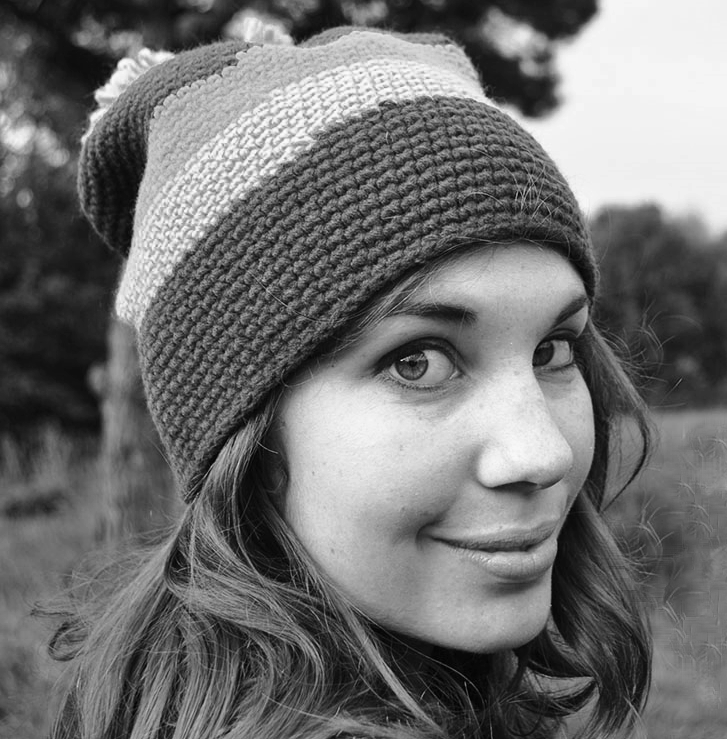 Trosa is perfect for exploring by foot or by bike. The car-free streets are flanked by pastel-painted wooden houses festooned with flowers and they all seem to lead to the peaceful canal, which is criss-crossed with bridges. 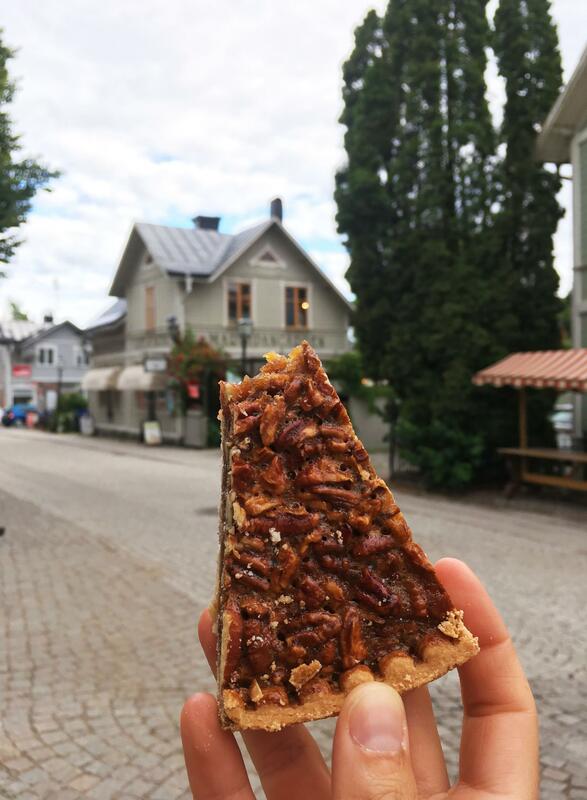 Wander around the harbour and then pop in to dreamy Marzipan Garden, a confectionery cafe that serves the best pecan pie I’ve ever eaten. 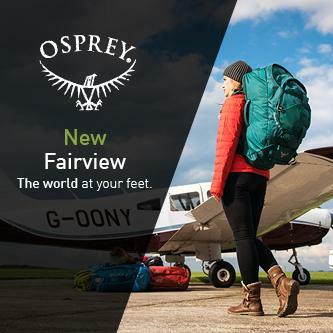 Ready to go further afield? 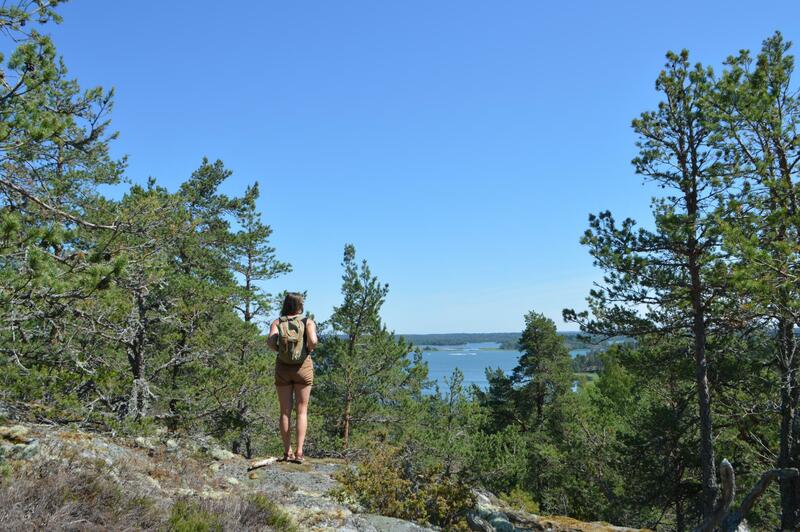 From Trosa you can hike a slice of one of Europe’s loveliest trails, the 1,000km-long Sormlandsleden, one of the longest trails in Scandinavia. Ideal for solo hiking, this beautiful route is well signposted with bright orange signs. I spent a day hiking a slice of the route that cuts through empty forests and along woodland trails, meanders past tiny villages and makes pit stops at sandy beaches where you can stop for a wild swim. Or if you fancy a multi-day hike, there are simple log shelters set up at strategic points along the way, each with a nearby spot where fires are permitted. Stay at the elegant, peaceful Trosa Stadshotell and Spa in town and they’ll send you off in the morning with a map and a packed lunch, so you can spend the day winding you way back home over 22km of beautiful trails, then soak your tired legs in their posh spa. 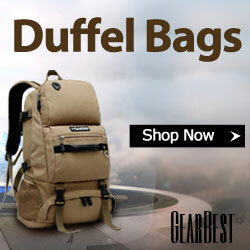 Find their hiking package here. 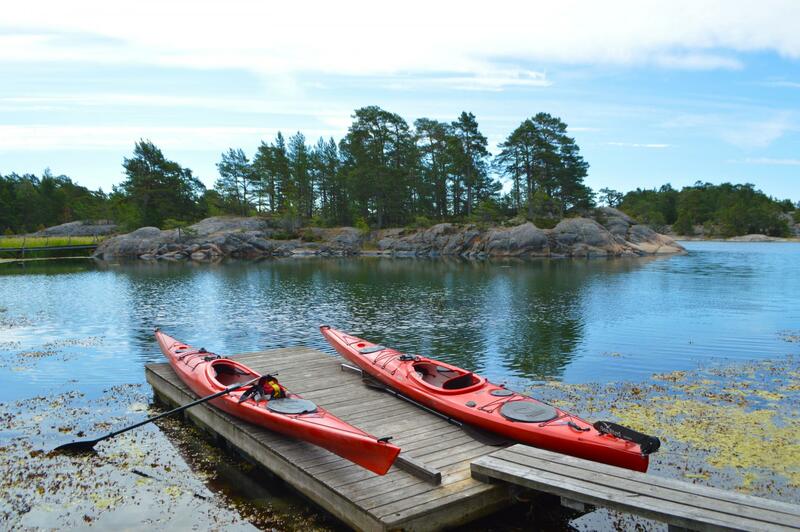 It was the height of balmy midsummer when I was in Sweden, and after a hot day’s hiking I couldn’t wait to hit the water with Skavsta Adventure. Owner Tobias is a kayaking pro and can organise anything from morning kayaks to camping adventures. He can even pick you up at the airport for a whirlwind overnight kayak and wild camp – the perfect way to get a big dose of wilderness in just a weekend. 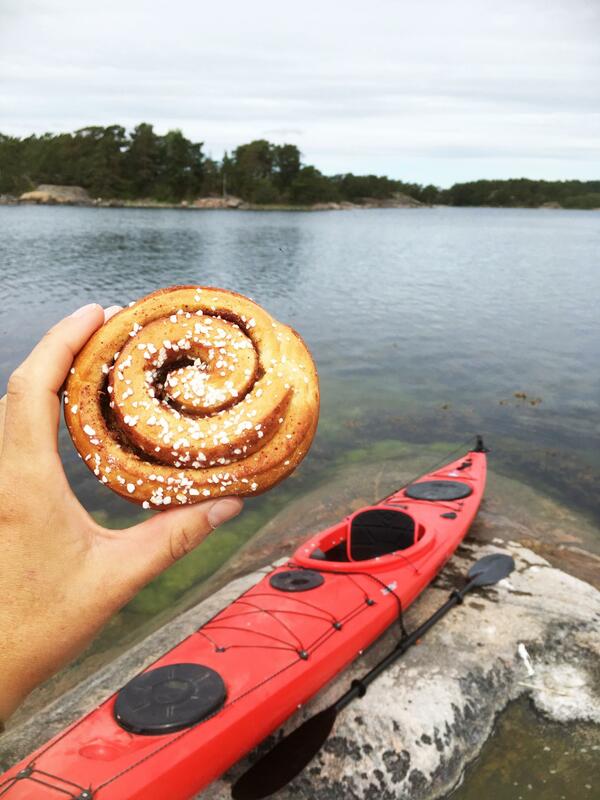 we spent the day exploring the archipelago, watching for seals, getting dive bombed by arctic terns and stopping for what has to be the most remote fika (the Swedish ritual of coffee and cake) ever – cinnamon buns and coffee served up on an uninhabited island. Tobias even whipped up a traditional apple pie on his camping stove. 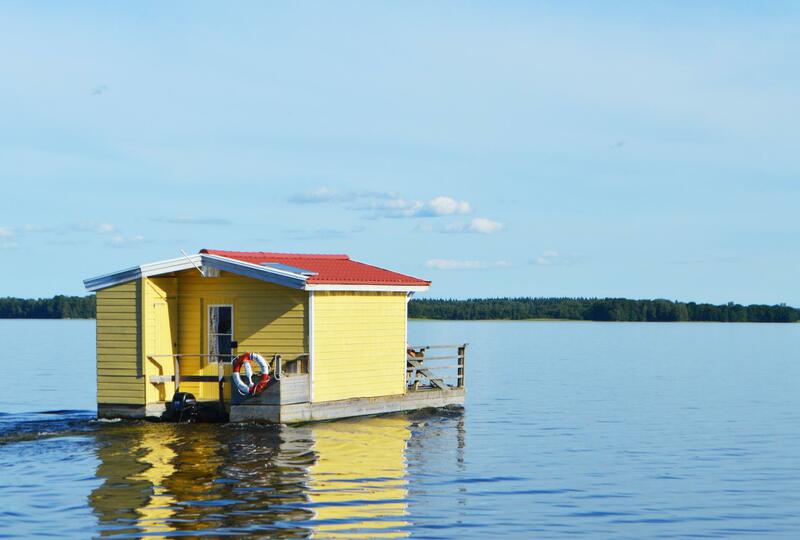 It’s not an adventurous weekend if you don’t sleep somewhere a little bit different, and for my list night Sweden I sailed away on the most magical mini house I’ve ever seen – a floating cabin houseboat. After picking up dinner and snacks from the pretty cafe at Lida Gard farm I headed into the countryside to Ruda Gard on Tisnaren lake. The farm’s owner, the amazing Kim, has built his own little fleet of houseboats here – inside there are comfy beds, a kitchen and a little bathroom, and outside there’s a wooden platform for swimming off (or even hoist a hot tub onto). 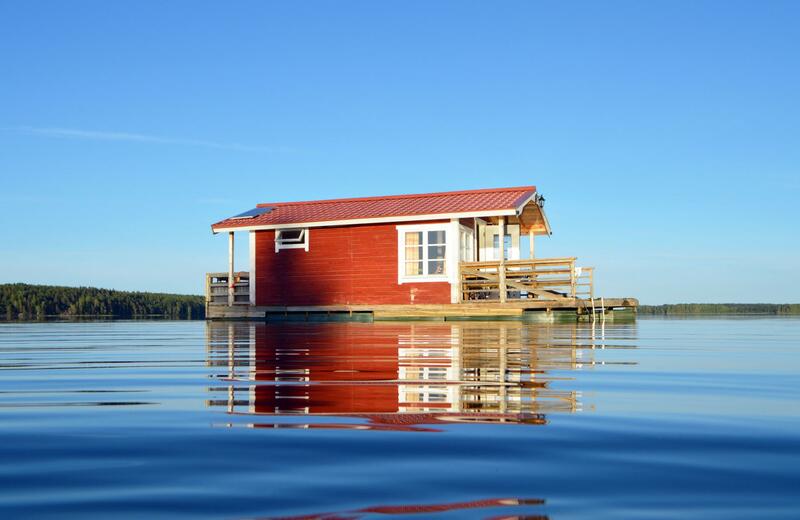 It’s the recipe for the perfect day – after a quick driving lesson you’re free to sail your tiny house across the lake, anchoring it where you like and spending the afternoon jumping off the platform and watching the sun set over the surrounding forest and the lake’s calm glassy surface. Totally wonderful. Watch the video of my #Stockholmcountrybreak here. 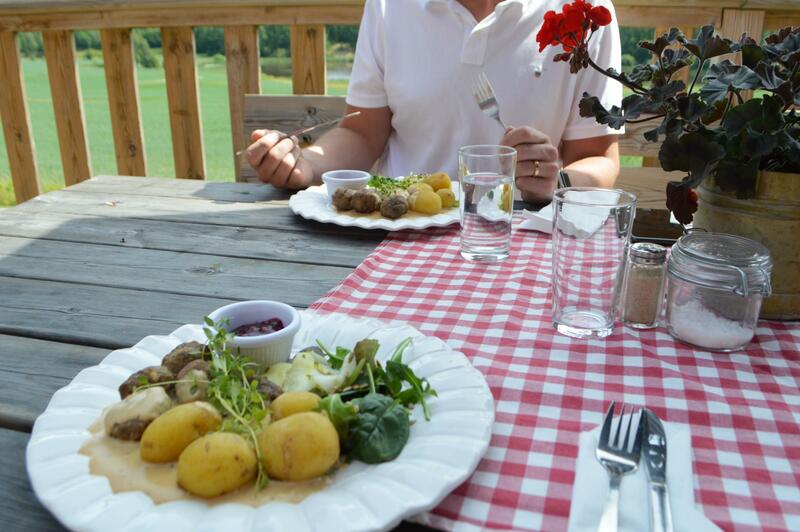 Find out more about planning your own #StockholmCountryBreak in Sörmland at Visit Sörmland.